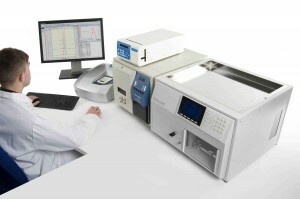 9 July 2013: Malvern, UK: Malvern Instruments has published ‘Static Light Scattering Technologies For GPC/SEC Explained’, a valuable guide for anyone assessing the value of a light scattering detector for gel permeation/size exclusion chromatography (GPC/SEC). Covering the theory and practice of molecular weight measurements using static light scattering, this basic guide serves as both an introduction for those with no prior knowledge of the technique and a reference document for anyone looking to enhance their understanding. Light scattering detectors are used extensively within GPC/SEC detection systems to determine exact molecular mass, particularly in the development of polymer, protein and macromolecular species. The new white paper from Malvern Instruments explains the differences between all the light scattering techniques used in GPC/SEC detection including: Multiple Angle Light Scattering (MALS), Right Angle Light Scattering (RALS) and Low Angle Light Scattering (LALS). A key focus is the practical uses of these different technologies and their respective advantages and disadvantages for different applications. Static Light Scattering (SLS) is widely used to determine the exact physical size or molecular weight of a molecule without the need for external calibration. Malvern offers a range of light scattering detectors. These are individually compatible with any GPC/SEC system or can be combined with refractive index, viscometry, and UV detectors in an integrated triple or tetra detection Viscotek system for comprehensive polymer, protein, and macromolecule characterization.